Polly Iyer is the Kindle bestselling author of eight suspense/thriller novels, including Kindle Scout winner, Indiscretion. 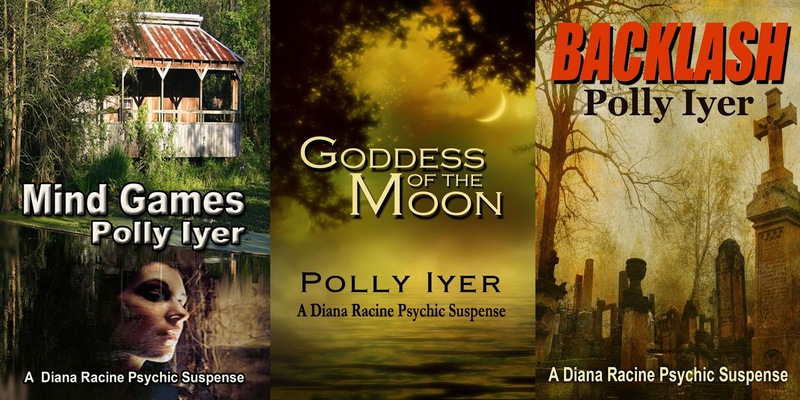 She’s working on the fourth book in the Diana Racine Psychic Suspense series. I thought about all the interesting/famous people, past and present, I’d like to know, but honestly, for one weekend, two days, I’d want to be with people I’d have fun with rather than feel uncomfortable with Greatness. The place: Rome, Italy. The three people are good friends: Mickey, Sheila, and Sharon. We’d stay at the Hassler Hotel at the top of the Spanish Steps. I lived in Rome a long time ago, and there’s something magical about the city to me. We’d eat, shop, and just have a merry old time. Drawing Breath, a book by Laurie Boris. Though it was not my usual read—not one person murdered—the characters touched me, and I’m still thinking about them. That’s a mark of a good book. I’m definitely a pantser. The story dictates what happens to the characters, and I couldn’t develop either the plot twists or the characters before I get to that point in the story. (I hope that makes sense.) I do think about the next “leg” of the story though, usually in bed, at night, in the dark. Sometimes verbally. My dog doesn’t seem to mind. I try to finish, but there are a few things that make me quit. An impossible plot is one. That said, it is fiction, so there is flexibility there, but it can’t stretch credulity too much. I don’t read much science fiction, but there would be lots more leeway there. I won’t waste my time with characters I don’t like. I want to root for the characters in a book. If I don’t care about them, I can’t root for them, and will stop reading. Bad writing is another reason to stop. I am getting better at shutting the book (turning off the Kindle) rather than wasting my time being annoyed on multiple levels. I do. I might learn something about my writing and avoid making the same mistake/s in another book. One of the benefits of being an indie writer is the opportunity to make changes. I don’t think a lot of people realize how cruel they can be in slashing someone’s work: The book sucked. Just hated it. Okay, so say it nicer, please. I only read really bad reviews once, however. I am not a masochist. I had one guy get totally apoplectic and hateful about one of my books. I’m sure when he finished, he had a seizure. Reading his vitriol once was enough for me. First, I edit as I write. Being a pantser, plot points change as the book grows, so I go back and clarify. I make notes, but it would weigh on my mind if I didn’t fix the changes right then. I cut and add. I cut wordiness. Why say in ten words what you can say in six? I add grounding. Where is my character? I have a tendency to jump right into the action/dialogue without setting the scene, so I try to remember to do that in each chapter. I will also add an occasional internal. What is my character thinking? I’ll elaborate on a description, which I tend to neglect. Details are important for the reader to visualize the character or the scene, but too much detail is too much. Cut, cut. I was walking on the beach and a really good-looking guy walked by. (He was much too young, but I looked.) Now, I’m a married woman, but I was also single for a long time. I thought what if…. And that’s how it started. What if I, um, I mean my character, had an affair with the perfect man? What if he wasn’t so perfect? What if he was a famous art thief? I’m from Boston, and after twenty-five years, no one has found the stolen paintings from the Isabella Stewart Gardner Museum. Where are they? What happened to them? What if…. It kept evolving from there, and Indiscretion was born. Clichés. Not the kind most people think of, but overdone movements or actions. …he said through clenched teeth. …lips in a straight line. (I give in to nodding. Anything else is forced. I just have to make sure I don’t overdo them) I find those two in almost every book I read. There are others, but you get the picture. Also long motions: …he said as he entered the room, pulled up a chair, and opened the mail. Not sure those are errors, but they drive me nuts and pull me out of the story. A writer’s voice is like a fingerprint, unique to that writer and not an imitation of anyone else. It’s also one of the hardest things to develop. My advice to writers is to read your work out loud. If it doesn’t sound like you, rewrite it. Dialogue should sound like how people talk, not how writers write. What happens when a romance novelist, separated from her husband, embarks on a torrid affair with a man she meets on the beach? Not just any man. He’s handsome, of course, an art history professor, speaks five languages, and knows how to treat a woman. Though he really is conversant in many languages and is knowledgeable about art, he’s also a first-class con man whose expertise derives from the fact that he’s stolen as many masterpieces as fills a small museum. If you’re thinking no good can come from this relationship, you’re right, especially when she finds him dead, then discovers she’s in possession of a Vermeer stolen from the Isabella Stewart Gardner Museum. Before long, she’s accused of murder and theft and is on the run with her estranged husband and his jewel thief brother, with the police and FBI in pursuit. LOVE that excerpt! This is definitely on my to-read list! Thanks, Judy. Hope you like the full book when and if you get to it. Your "read your work out loud" advice is something I encourage my critique partners to do. That and change the type face (larger, smaller, different) and print it off. It's amazing what I find Thanks for sharing your writing methods, best wishes for great successes with your novels, and Happy Birthday! Thanks, CJ. Yes, anything that makes you see what you've written differently. Otherwise, you see what you THINK you've written. And thanks for the birthday wish. 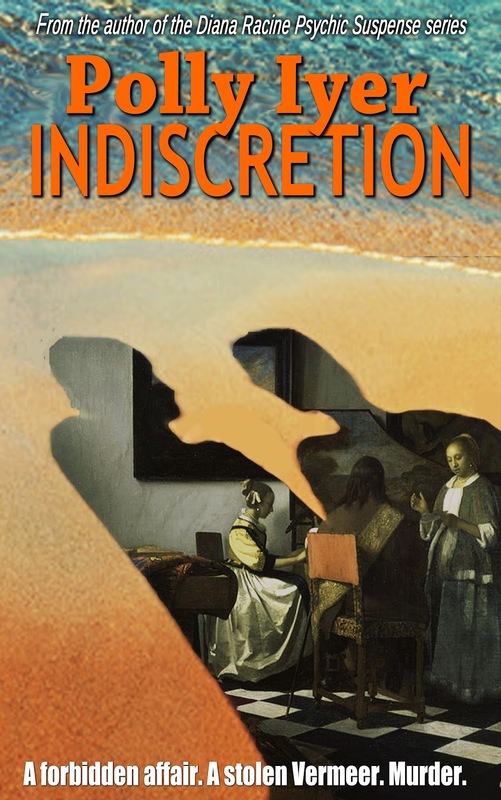 I loved reading Indiscretion...it's a great book! Thank you so much, Russte. Nice to hear that. LOVE Laurie's work! So glad you discovered her. 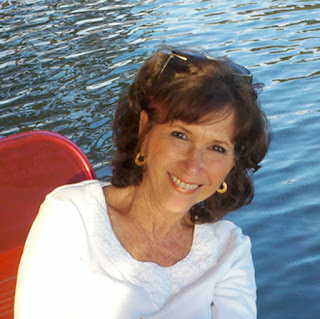 And, she's a terrific editor :-) I'm also a fan of your writing--am starting Indiscretion (finally), and looking forward to it! Thanks, DV. A mutual admiration society, for sure.